Everyone who likes a bit of spice to their food is hooked on sriracha sauce these days. Here are seven brilliant ways to use it. 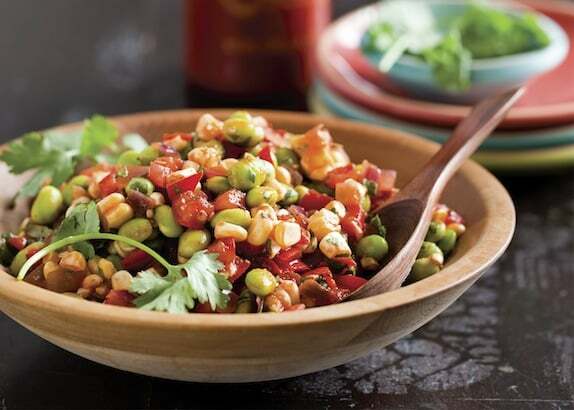 While succotash is usually served warm, Randy Clemens’ Edamame Sriracha Succotash, above, is fantastic served cold as a refreshing (and spicy!) salad from summer through late fall. 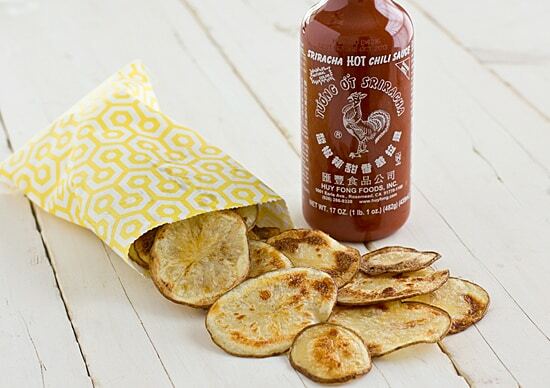 These spiced homemade Baked Sriracha Potato Chips from Oh My Veggies are a little bit addictive (or maybe very addictive). Crispy and spicy, these might just become your go-to snack. 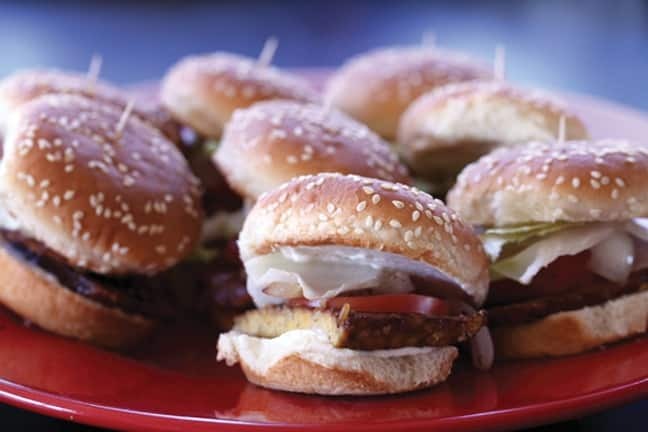 Ayinde Howell’s Sriracha Tempeh Sliders with Ranch Dressing recipe gives you the message that you can’t have too much of a good (hot) thing, but concedes that you can replace the sriracha with BBQ sauce if it’s too hot to handle. Here’s a creamy slaw with a kick! 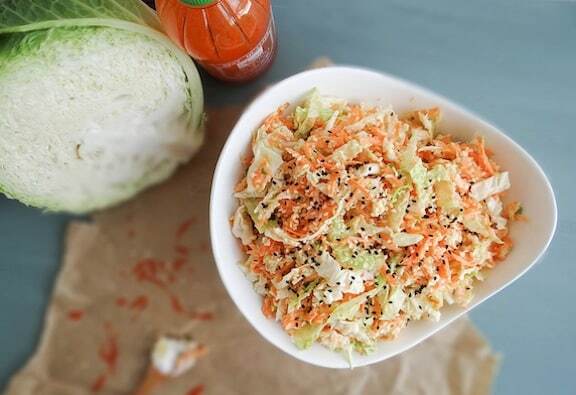 Heather Poire’s Napa Sriracha Slaw is perfect for a BBQ, picnic or leftovers for a sandwich or taco topper. 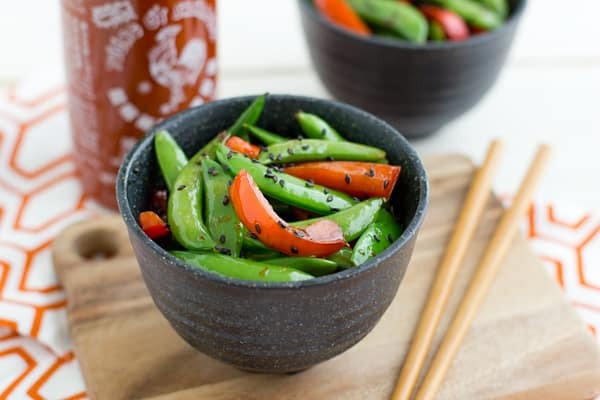 Sriracha Snap Peas from Oh My Veggies are sweet, spicy, and savory all at the same time.Red bell pepper gives the dish a pop of color; it all adds up to a minimally cooked standout side dish (which is great as a healthy snack, as well). 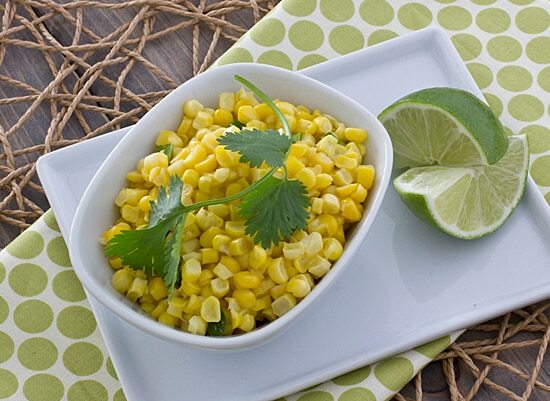 Fresh Corn Sauté with Coconut Milk & Sriracha, also from Oh My Veggies, is an easy summer side dish that’s the perfect combination of sweet and spicy. 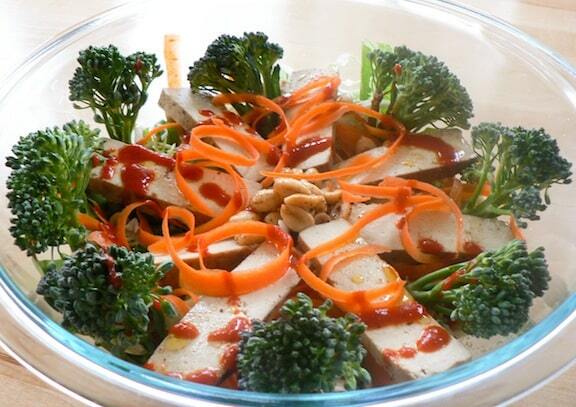 Spicy Sriracha Salad with Baked Tofu by Sharon Discorfano is super-easy to put together with a pleasing array of veggies topped generously with our fave hot sauce!